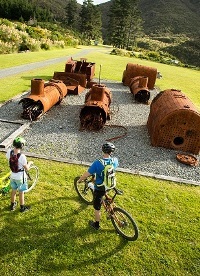 The Remutaka (Rimutaka) Rail Trail is a gently graded 18 km bike ride - it's also a hugely popular walk. It’s excellent for families with children who can be coaxed along by the next railway ruin, old rail bridge or tunnel (definitely take a torch). Here's a map. This is the classic ride, suited to most abilities. Begin at Kaitoke car park (9 km north of Upper Hutt. Turn off is signposted to Pakuratahi Forest. The car park is 1km along a metal road). The ride follows the Pakuratahi River for much of the way and passes impressive relics including the ‘Howe’ truss and Ladle Bend bridges. 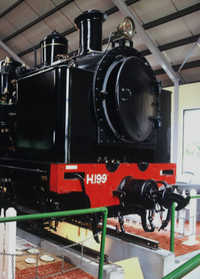 Learn about the railways history thanks to the excellent storyboards along the way. 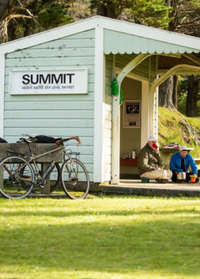 The Summit area is perfect for a picnic lunch, but make sure to venture on to the spooky Summit Tunnel (576m above sea level) before heading back to Kaitoke. There is a pit toilet at Ladle Bend and flush toilets at the Summit. (NB: This car park is approximately 15 minutes’ drive from Featherston and is sign posted along Western Lake Road). A sweet stretch of single track leads through native bush to the historic Cross Creek settlement where the old railway community lived and worked. From there, the old rail trail climbs around the slopes of native bush in a valley. Then come the rewards: epic views, a series of eerie tunnels, Siberia Gully and Summit picnic area. Suitable for fit riders from beginner upwards. Suitable for fit beginners upwards, this wonderful one-way ride offers the full sweep of Rail Trail history and scenery. Start and finish, this is connected with public transport. Although it can be ridden in either direction, the Wellington side offers a gentle climb, while the descent to Cross Creek is fast, flowing and fun. Catch the Wairarapa Line train to Maymorn Station in Upper Hutt. 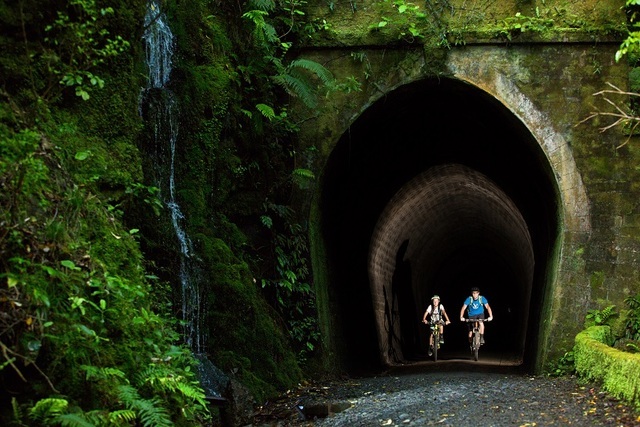 From there, it’s less than 5km to join the Remutaka Rail Trail within Tunnel Gully Recreation Area. Up, over, and down to Cross Creek, it’s another 10km on Western Lake Road on an off-road limestone trail to reach Featherston train station where you can return to Wellington. Check out the train timetables. Pre-book a shuttle to accommodation, towns and train services from Cross Creek with Martinborough Shuttles or Rimutaka Shuttles. Check out other day rides on the trail or ride the full trail for an adventure! Find out about our trail accommodation. Be sure to check out our Remutaka Cycle Trail FAQ's before you ride!